The latest high-end laptop from Xiaomi was launched in conjunction with the company’s two newest smartphones, the Xiaomi Mi MIX 2 and the Mi Note 3. All three devices caught the eye of the customers at first sight and so therefore, they were well received with smiles in the market. The fact is that each one of them comes with certain points of sale required by the users. Let’s say, the Mi MIX 2 is a second-generation full-screen smartphone that offers innumerable innovative features. The Xiaomi Mi Note 3 is considered as the largest version of the Mi most powerful phone, the Xiaomi Mi 6. 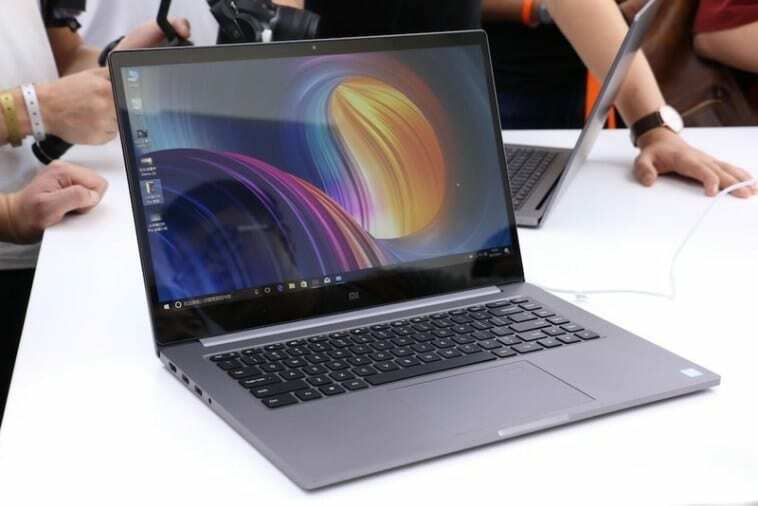 As for the Xiaomi Notebook Pro, it is an ultrabook that has the latest Intel Gen 8 Core i5 / i7 processor. Therefore, it is one of the fastest laptops in the world. Currently, the Notebook Pro i7 and 8GB of RAM is available to be purchased at a price of $ 899.99 using a discount coupon that you will find at the end of the article. In addition, the highest version with an i7 processor and a memory combination of 16 + 256 GB is offered at $ 1099.99 also with coupon. There are three versions of this impressive laptop that has Intel i7 and i5 chips inside. This is one of the first laptops with the eighth generation of Intel Core CPUs. It is promised that this chip will provide improved performance of 40% compared to last year’s Kaby Lake chips. Apart from this, the SoC is combined with dedicated NVIDIA GeForce MX150 graphics, 8 / 16GB (2400 MHz) DDR4 RAM, along with a 256GB PCI-E / NVMe SSD hard drive with the option to extend its memory via micro SD cards. It supports Wi-Fi 802.11ac dual band, so it has access to 2.4 GHz and 5 GHz networks. 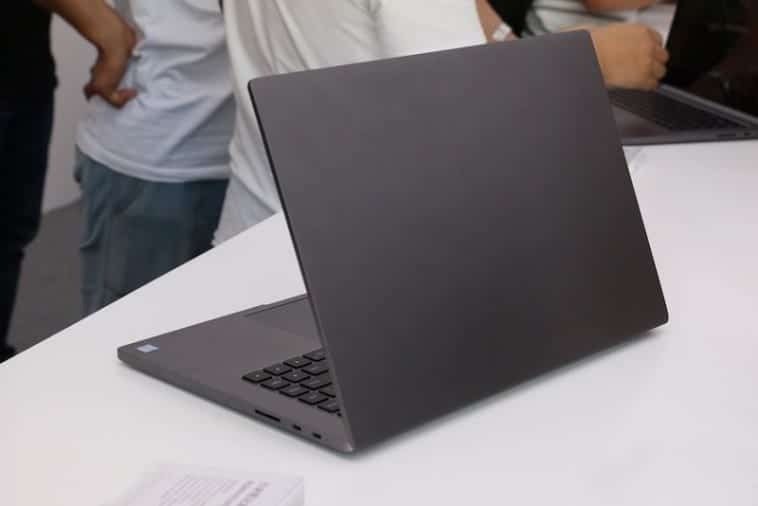 The screen of the Xiaomi Notebook Pro is 15.6 inches and provides a Full HD resolution, it also supports a 72 % of the NTSC color gamut and is covered with Corning Gorilla Glass 3 together with ultra narrow bevels. The battery is 8000mAh and supports a fast charge of 1C, which means that it will be charged 50% in only 35 minutes. The Xiaomi Notebook Pro is built with reinforced magnesium alloy, so the device is quite resistant. It has a pair of air vents, one on the left and one on the right, therefore, the air circulation has increased by 40%, making the laptop work at a lower temperature. The manufacturer has drastically improved the side bevels, as the new ones have only 6.52 mm. The company has provided 2 x full-featured Type-C ports, 2 USB 3.0 ports, 3-in-1 MicroSD slot, HDMI port and 3.5 mm audio port, distributed on both sides. Like the new Xiaomi Notebook Air 2017 series, the touch panel integrates a fingerprint reader in the upper right, with which we will enjoy greater privacy in our ultrabook. The i7 version of 16GB can also be purchased with another discount coupon at $ 1099.99, so it’s up to you to choose the one you prefer.